A fantastic article by NME this week on the current state of the ticket resale market. There’s even a mention of what we’re doing here at Twickets in there too! 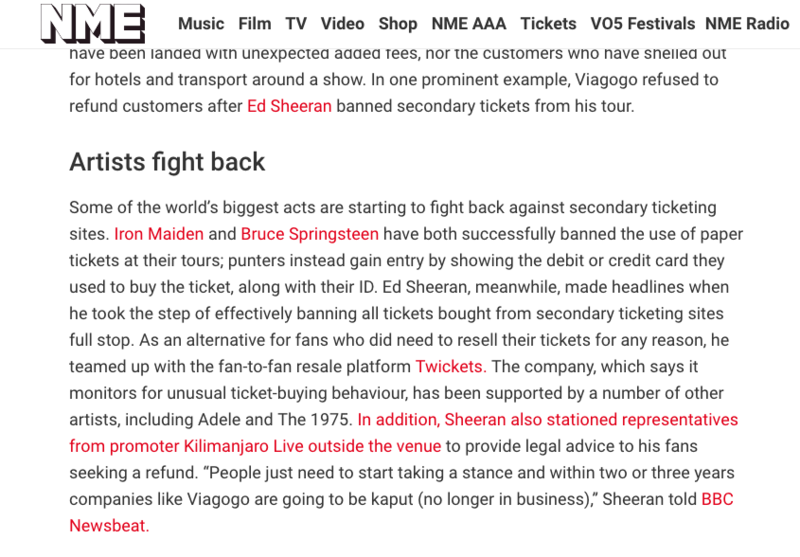 Get reading: The war on secondary ticketing profiteers: who’s really winning?